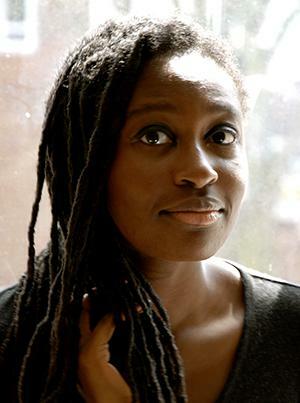 Helen Oyeyemi’s novel Boy, Snow, Bird, reviewed. Helen Oyeyemi’s frank and fractured fairy tale Boy, Snow, Bird. Mirrors can be the unlikeliest of deceivers. They suggest a clean retelling of just the facts, an accurate reflection of what’s placed before them, without judgment or commentary. But of course what we see in a mirror isn’t always the truth, at least not exactly. It’s the surface of things, and even that is often distorted. We know this, yet we can’t stop looking at them for confirmation. We crave the reflection, choosing to trust its accuracy against our better judgment. Helen Oyeyemi’s latest novel, Boy, Snow, Bird, begins with just this conundrum. “Nobody ever warned me about mirrors, so for many years I was fond of them, and believed them to be trustworthy,” says Boy, the first of the book’s three titular protagonists. That doesn’t stop her from obsessing over mirrors, to the point of kissing the glass with her fists against it, her mouth meeting her “mouth.” And she’s not the only one: Snow, her stepdaughter, and Bird, her daughter, have similarly troublesome and obsessive relationships with the reflective material—in their case, they occasionally don’t see any reflection at all. A magical mirror? You know that old story. On its surface, the plot of Boy, Snow, Bird is the Snow White tale told from the perspective of the stepmother—the sort of turnabout tactic made standard thanks to books like Wicked. But the talented Oyeyemi takes a familiar story, sets it for the most part in 1950s New England, and removes almost all the familiar imagery, making it her own. There are no dwarves, no poisonous apple, and no awakening kiss. In its place are simply women. Women of all ages, races, economic backgrounds, and motives. Women who deal with, and sometimes inflict, all the horrible injustices—racism, abortions, questions of sexual identity—that aren’t on display in a Disneyfied version. Women who, with no Prince Charming on the way, must instead find ways to solve their own problems. The fifth novel from the enviably prolific (and enviably young) Oyeyemi defies classification, seeming to dip its toes in one genre, say magical realism, hop out, and settle into historical fiction or fractured fairy tale. Or perhaps the story’s a mystery. Oyeyemi is constantly changing perspectives and narrators, alternating between the first-person narration of her protagonists and letters written between Snow and Bird, keeping her readers at full attention. As she did in her previous book, Mr. Fox, Oyeyemi in telling a story explores how stories are told. As with the mirrors that haunt the novel, the reflections we get from Oyeyemi’s narrators are often unreliable and only shown to us when convenient, revealing many unexpected details that we don’t see at first—either because of our own biases or because we haven’t been given all the information. Take the “evil stepmother,” Boy, who settles down in a Massachusetts town with Arturo Whitman—a widower with a daughter, Snow. (The name Snow Whitman is the book’s only overt reference to the classic fairy tale.) When her own daughter is born, Boy sends Arturo’s beloved Snow away—a move that feels more biblical, calling to mind Sarah’s banishment of Hagar and Ishmael after Isaac’s birth, than evil. The world of this novel is one in which mothers and daughters disappear from each other’s lives: Boy doesn’t know what happened to her mother; Snow’s mother died shortly after giving birth; Arturo’s mother sent one of her daughters, Clara, away to live with an aunt—only to have the next generation do the same thing, sending Snow to live with Clara. Unsurprisingly, in a novel about appearances, the sending away has everything to do with physical traits. The adored and praised Snow may appear to be white (“skin as white as snow,” as the saying goes), but her half sister Bird has a darker appearance, suggesting that the Whitmans are in fact a light-skinned black family attempting to pass as white—yet another deceptive name and another deceptive appearance. As in Mr. Fox, where a character comes to life to scold her author for killing off a story’s heroines, magic sits side by side with the banality of day-to-day life in Boy, Snow, Bird. It’s left to the reader to decide what she wants to believe—does Bird really speak to spiders, as one vivid scene seems to suggest? What exactly is happening with the mirrors? Not everything makes sense—but not everything has to. Oyeyemi isn’t just pulling the rug out from under our feet, playing with our assumptions about how people look—she’s holding a mirror up to our memories of fairy tales and of history. Just as we so desperately want to trust mirrors even though we shouldn’t, perhaps we shouldn’t trust her, no matter how convincing she can be. But then Oyeyemi is less interested in deceiving us than she is in letting us know we’re being deceived. Over and over again we read the fairy tales that the characters tell each other, and each time Oyeyemi has them doubt the veracity, and sometimes the validity, of one version of a story over another. Bird, Arturo explains, used to love hearing the Cinderella story before bed. She never expressed approval or disapproval, but one night she asked if the story was true. “Not the fairy godmother stuff and her dress turning back to rags at midnight—I know that’s true. But Cinderella just sweeping up all those ashes every day and never putting them into her stepmother’s food or anything—is that true?” To a young girl, that is the most implausible part of the story, and her father can’t see the harm in telling her yes. “So what—she can’t prove it isn’t true,” he figures. It’s not just Boy, Snow, and Bird who, in some way, discover themselves by doubting their mirrors. In the end, one of the novel’s biggest transformations takes place as a result of coming face-to-face with one’s reflection. But, like a good mirror, I won’t reveal everything here. I’ll leave that to Oyeyemi’s stunning and enchanting fairy tale. Boy, Snow, Bird by Helen Oyeyemi. Riverhead Books.